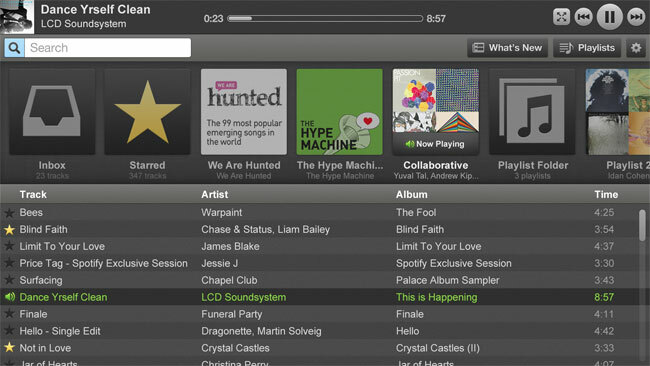 Today Boxee has rolled out a new update for the Spotify application on their set-top-box device. Which brings with it enhanced features, allowing users to now be able to search Spotify’s entire library of music, rather than just play preconfigured playlists. Other new features added with the update roll out include a redesigned inbox that notifies you instantly when any of your friends share a song, album or playlist with you. As well as a new shuffle feature, which lets you relax and let Spotify DJ automatically for you. Also with Spotifys recent Facebook integration, is even easier o discover and share music with your friends.To use Spotify on your Boxee set-top-box you will require a Premium Spotify subscription.